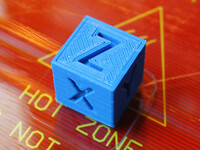 Dual Extruder Calibration Square by SuperBearFur is licensed under the Creative Commons - Attribution license. I needed a simple and fast calibration test piece so I created this multi layer test object. Just load both files and center them, slice, and print! 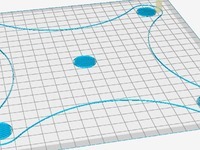 Say thanks by giving SuperBearFur a tip and help them continue to share amazing Things with the Thingiverse community.